In the Wintergarden is a commissioned artwork for the City of Helsinki in 2009. 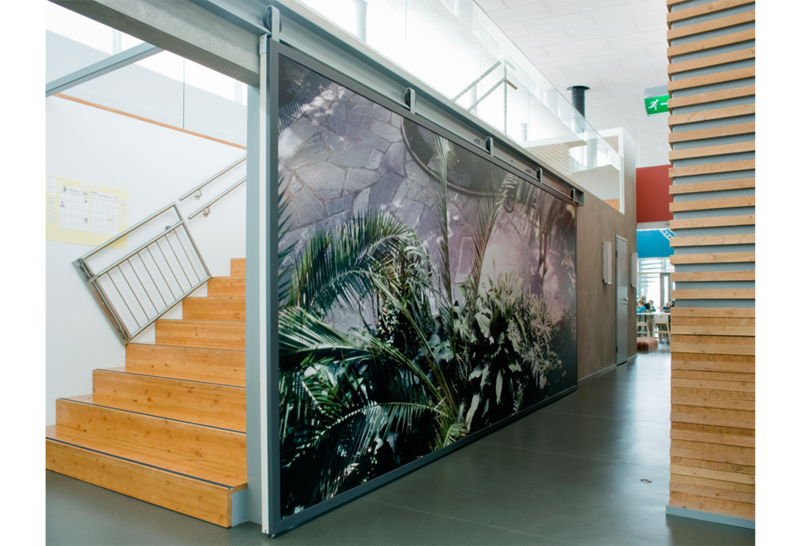 The image is a large scale print, 2x5m and is located in the lobby of a kindergarten. The work is mounted on a wall that can be moved to create a larger or a more intimate space. The image is altering the actual architecture with the means of a a slightly distorted perspective and some foreign, enlarged and details.